The first trade was a quick PWE trade, 4 for 3, with a new trade partner Barry (TCDB ID: CoachBarry). 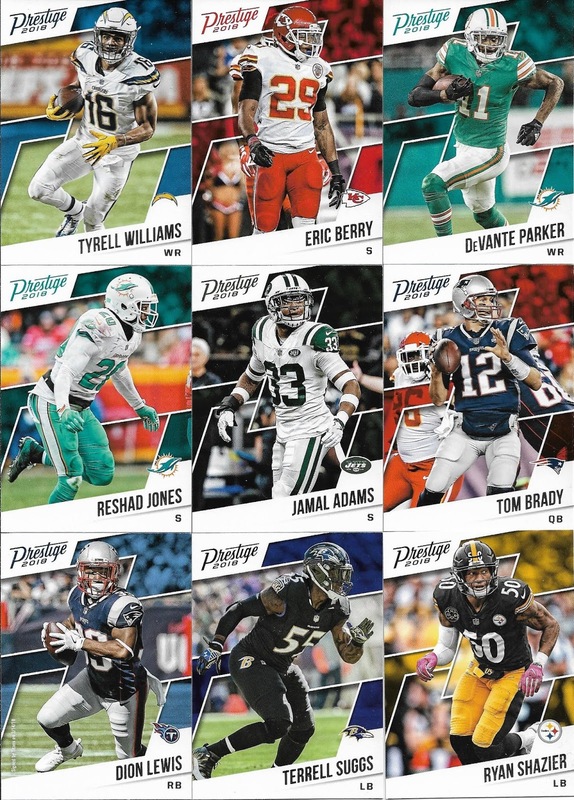 As I have mentioned several times over the past few months, it has been great trading off inserts that I don't normally collect for cards towards the sets that I need. 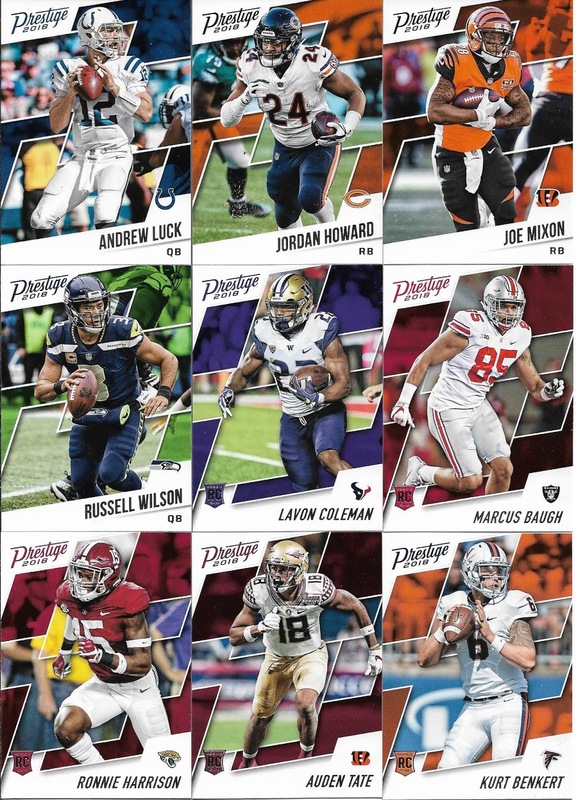 Strike 4 more off the 2018 A&G want list. 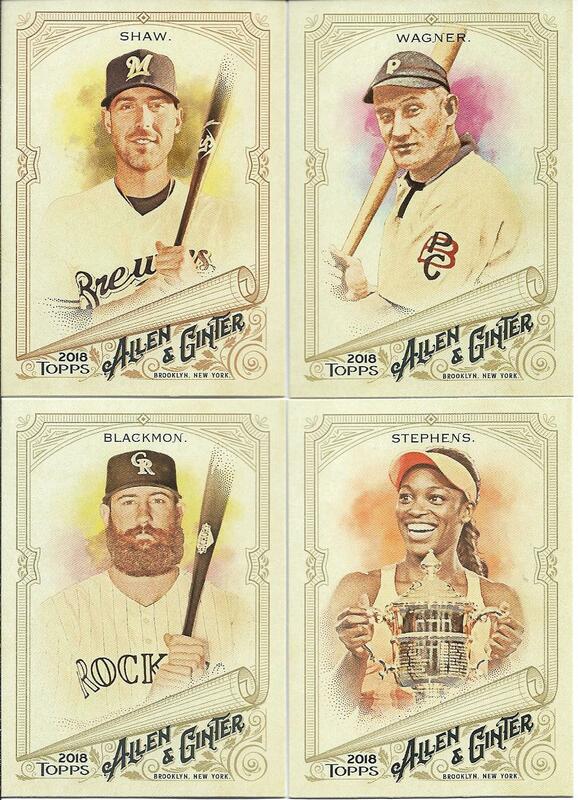 The Sloane Stephens card on the lower right is the first non-baseball player card that I've received in quite a while. Taking a quick look at the scan, I see a different logo on the sleeve of the Honus Wagner card that's new to me. I imagine the "PBC" stands for Pittsburgh Baseball Club, but I don't ever remember seeing that logo anywhere else. Artistic license maybe? Or can anyone point me to another image/photo that features the PBC. Now the bubble mailer kind of surprised me, as it is one of 3 mailers that I was awaiting from the Great White North. I actually tweeted earlier this month that I was waiting for 3 Canadian mailers for probably the first time ever, and joked that I hope they arrive by April. Set fillers. Blue Jays from Canada, you don't say? 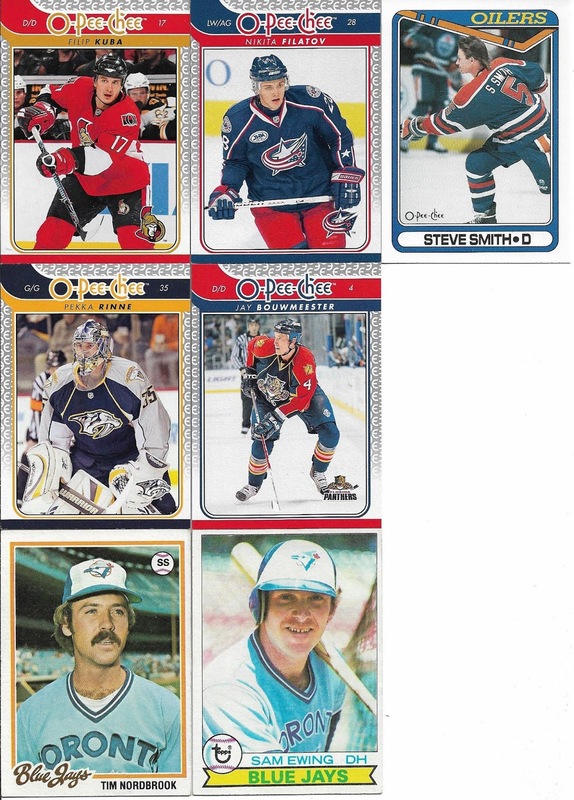 The more cards I get from the 09-10 OPC set, the more I can't wait to complete it. That's a long way off as these 4 bring the total to 113, well shy of the 600 total. What really surprised me about Kari's offer was the big batch of 2018 Panini Prestige football cards. 28 total ( I was lazy and only scanned 27 of them ) but some pretty big names in here such as Brady, Wilson, Luck and Terrell Suggs. 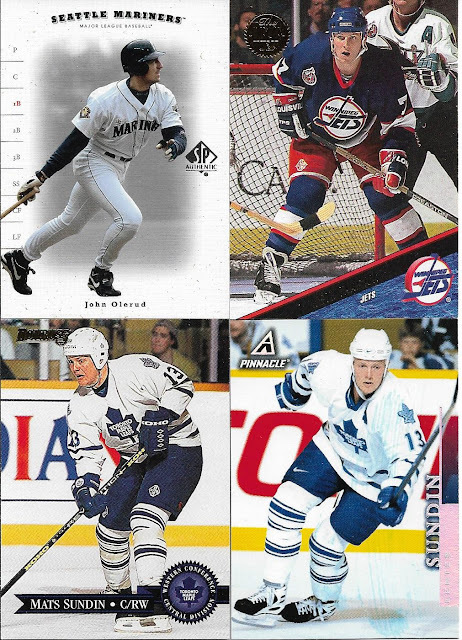 Kari also sent a few of the rookies as well, putting a small dent into what might be a larger task than I thought. 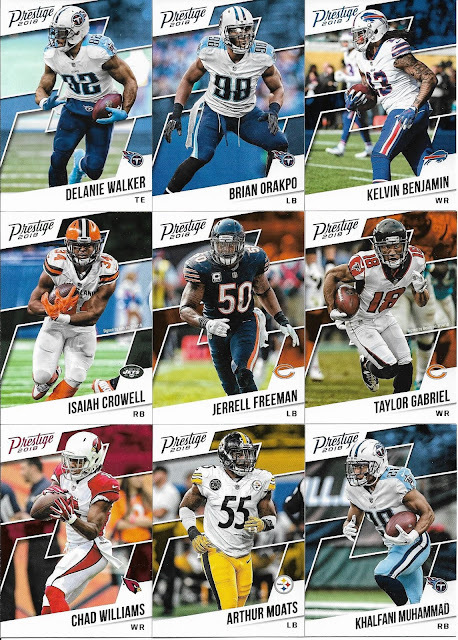 The last 100 of the 300 card set are all RC's, including Baker Mayfield, Sam Darnold and Saquon Barkley. I still need about 70 of them, but there's no hurry as I don't expect to finish the set anytime soon. I'm up to 22 trades completed so far this year, and three more are halfway done. Having 25 trades complete by the end of March will have me right where I need to be, 1/4 of the way to my goal of 100 trades in 2019.